To question the length contraction and the relativity of simultaneity I introduce a third simultaneous event in the ladder paradox problem. Think of this touching event as verification of the simultaneity – touching verifies simultaneity, no touching – no simultaneity. 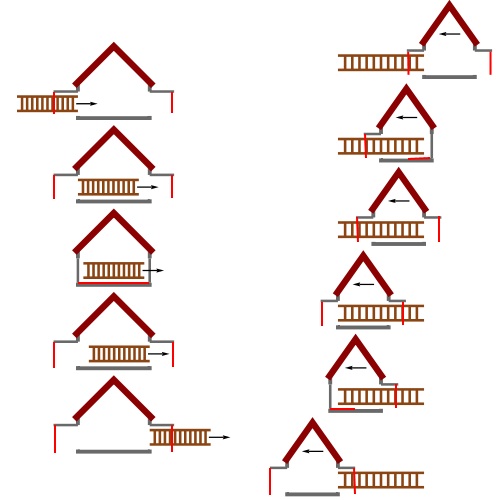 Obviously, this event will be absent in the ladder reference frame, since the doors in that frame are not closing simultaneously. Missing event in one of the reference frames is against the law of physics, which automatically puts Einstein’s Theory of Relativity in the scientific dustbin. Read more in the original post. You may consider this article interesting too.